With NetX we were able to remove multiple barriers and offer the entire collection directly to our campus partners. The University of Richmond (UR) sits on an attractive 350-acre suburban campus of collegiate gothic buildings surrounded by towering trees, walkways, and meticulously maintained grounds. On the surface it can look like just another pretty place, but in fact, the University of Richmond is an impressive place that inspires intellectual achievements from its diverse students and faculty. Telling the University of Richmond story is a visual endeavor, making the University photography collection a highly valuable resource. The Division of University Communications operates as an internal marketing, brand, and design agency focused on building national recognition for the institution. It wisely understands and leverages the beauty of campus and the uniqueness of its community. 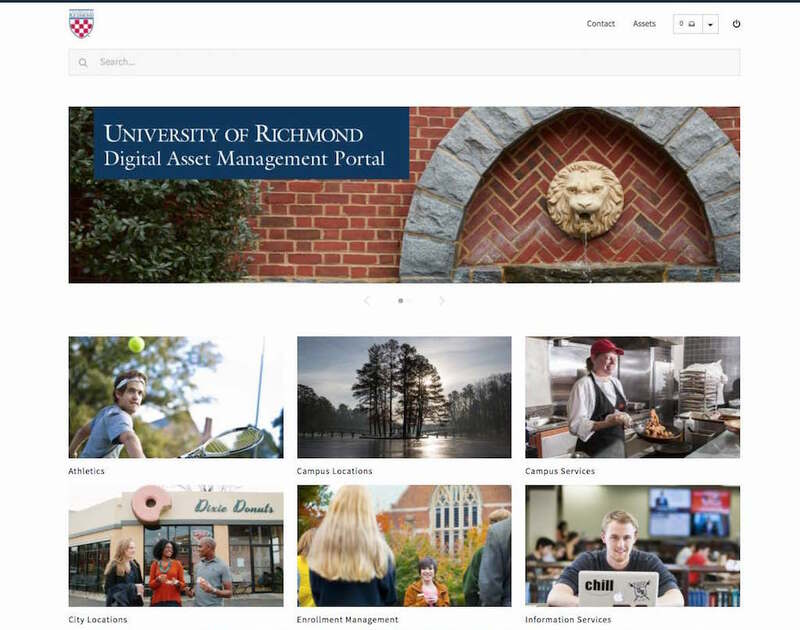 External marketing efforts rely on campus imagery to communicate the University of Richmond as an intellectual meeting place and online feature stories often incorporate slideshows and other media to visually tell the University story. Images are also primary in the University web philosophy, which uses imagery for navigation and has a focused emphasis of storytelling over marketing. News and media outlets occasionally request campus imagery for stories about the University and social media posts that use campus imagery are routinely the highest performers in regards to digital engagement. Clearly, there is an ongoing need for contemporary imagery at the University of Richmond. Prior to UR’s partnership with NetX, staff sourced that imagery in a variety of ways, relying heavily on a server full of digital assets in folders organized by photographer and year. Images could also be found on CDs that sometimes ended up buried on an individual’s desk or in a project folder. Model releases were kept in hardcopy in a series of binders. The releases were rarely fully completed and rarely provided a direct connection to a set of assets. In addition, each school and division within the University has specific communications staff working independently of University Communications. These folks relied on their own collections, often duplicative of those in University Communications, and when needed, would request imagery from Communications via an online web form and manual curation process, with images returned via email or a CD thrown into campus mail. Imagery organization and workflow was lacking a structure, relying on the knowledge of only a couple of staff members, and causing a significant liability when it came to rights management. Staff needed to focus on high-priority tasks instead of utilizing a significant portion of their time on image searches. As Kirsten McKinney, visual asset manager states, “We had over 30 freelance and internal photographer folders, all with subfolders for each year dating back a decade. This server-based system housed over 58,000 images and relied on one keyword field for searching. If one or two people were to leave the University, their institutional memory and our ability to finds images would leave with them.” A solution was needed to bring order to the chaos and spread the knowledge of campus imagery away from a few, to access for all. From the outset, University Communications was looking for a digital asset management system that could grow into their long list of desired deliverables. In addition, staff wanted to partner with a company that had the flexibility to work with the group’s innovative approach to web and digital engagement. Where other companies offered work-around approaches and advice on how the team could manage its work to better align with their product, NetX instead thought through how they could create and innovate along with University Communications towards its end goals. In University Communications staff trend towards the visual thinker and the hiccup that the team often experienced with many systems was an unfriendly UI. Systems with interfaces that were not clean and intuitive, were quickly abandoned. The simplicity and attractiveness of the NetX Brand portal interface was a key factor in selling the system to staff. Prior to the UR DAM, assets were organized by photographer and then by year. The ability to create a custom taxonomy based on the University structure made more sense to staff, as it followed where they would intuitively look for assets. This in turn encouraged the use of the system since it was now easier to find the assets they were looking for. Many exterior campus images contain more than one building in the shot. So that images would show up via search of any of the buildings pictured, NetX created a custom auto task that would place the asset in its home folder, but make it searchable for other locations. This maintains the integrity of the taxonomy, eliminates the need for duplication, and allows for accurate searching by location name. Another user commented “It is wonderful being able to see all of the options, choosing the best images, then gain access to the file without an intermediary. I'm comfortable resizing images, so being able to do this on the fly, without relying on University Communications, makes completing tasks much quicker and gives me more autonomy in creating materials that are applicable to my area.” Furthermore, the system is so intuitive, that formal training is not required. “We had planned specific training materials and workshops, but people were just getting in and using the system. Usage and adoption was effortless, “ says McKinney. 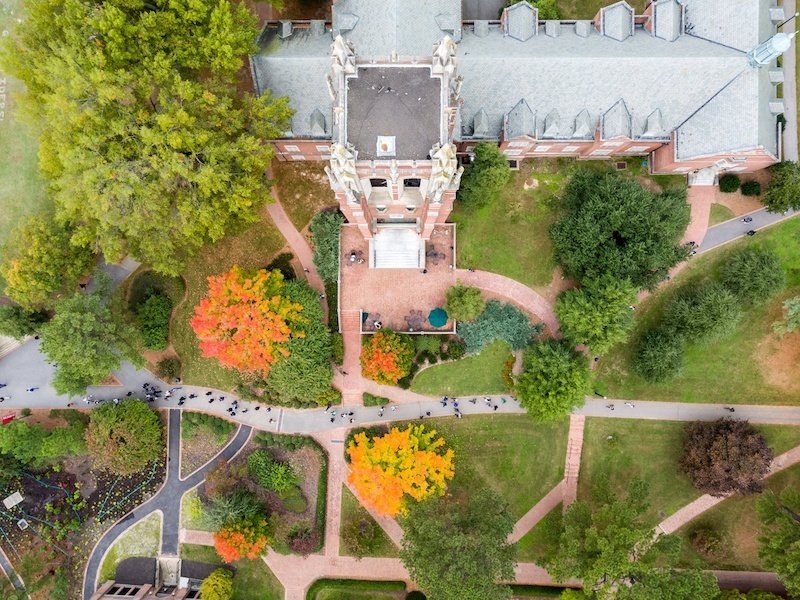 The University of Richmond has hired a full-time photographer and will soon be launching a national branding campaign. As a result of the NetX DAM, the Division of University Communications is ready for these challenges with a simple solution that will grow with the brand and the institution.